Back in 2006 Italy regulated and legalized online gambling, however, now Socialist Party politician Nencini Riccardo has introduced measures to ban advertising on gambling, particularly for online poker on TV and radio stations. The proposed measures will ban advertising online gambling on television and radio stations. Riccardo presented the Italian assembly with his new set of rules regarding online gambling advertisements in Italy and the assembly unanimously voted for them. 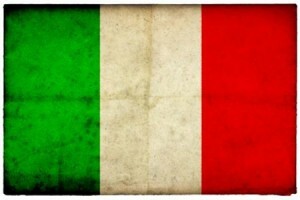 It is thought that the new measures will help reduce the risk of gambling addiction in Italy. Riccardo and his party members are claiming this as a victory for the people and the Socialist Party. However, the legislation was already included in a bill approved by the House of Representatives in 2013. That bill proposed a number of tax measures and standards to be imposed on operators of horse race betting and slot machines. The bill is due to come back to the House of Representatives having undergone a few changes. There are fears that if the bill passes it will have a hugely negative impact on the development of the already struggling online poker market in Italy. According to statistics online gambling in Italy is already declining and the removal of the right to advertise is sure to hit it hard.